The launch of the Dubai Water Canal and Box Park has marked the rebirth of Al Wasl Road as a hub of its own and a popular destination for residents. Running parallel to Jumeirah Beach Road and Shaikh Zayed Road, it offers easy access to old and new Dubai as well as numerous public and private beaches. Shereen Shabnam, a luxury lifestyle journalist who lives in City Walk, is among those who were drawn by the community’s great location and emerging vibrant urban lifestyle. On the flip side, her family of four finds it tricky to walk the dog due to the lack of pavements in the vicinity, and the few streetlights make it uncomfortably dark at night. “Jumeirah was a lot better in that regard,” says Moufti, who used to live in the UK. Still, she prefers Umm Suqeim when she found a better-maintained four-bedroom villa at a more competitive rent. Like most houses in this non-freehold area, Moufti’s villa is owned by a local landlord, which is a major advantage for tenants, according to Aida Ibraimova, leasing agent manager at Sky Land Realty. 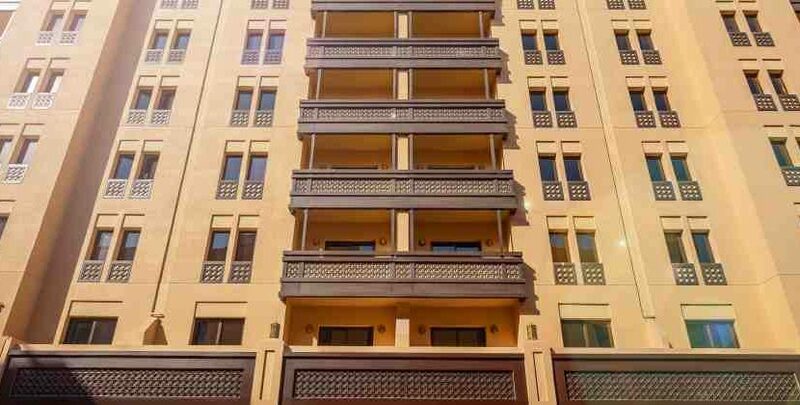 While most properties around Al Wasl Road are villas, a few offer apartments such as City Walk and Dar Wasl. Located next to Safa Park and the Dubai Water Canal, Dar Wasl is a mixed-use complex with residential and commercial units. Developer Wasl Properties released the villas in the Andalusian-inspired community in 2016 and 112 apartments last year. “Dar Wasl is popular because the apartments are facing the main Al Wasl Road, while the villas are at the back,” says Ibraimova. Further along the road towards Jumeirah 1, City Walk offers the only freehold apartments within the area through 34 low-rise buildings. Rajiv Ghanekar, senior broker at Keller Williams Real Estate, says City Walk is sought after primarily for its connectivity and low-rise buildings. A low-rise apartment complex implies fewer units per floor and quiet surroundings, so overall a better living environment. Besides the residences, City Walk is also home to dynamic leisure and entertainment destinations.